On Friday 22nd June 90 reception and pre school children enjoyed a teddy bears picnic in the grounds of the beautiful Clonter Opera Theatre near Congleton. 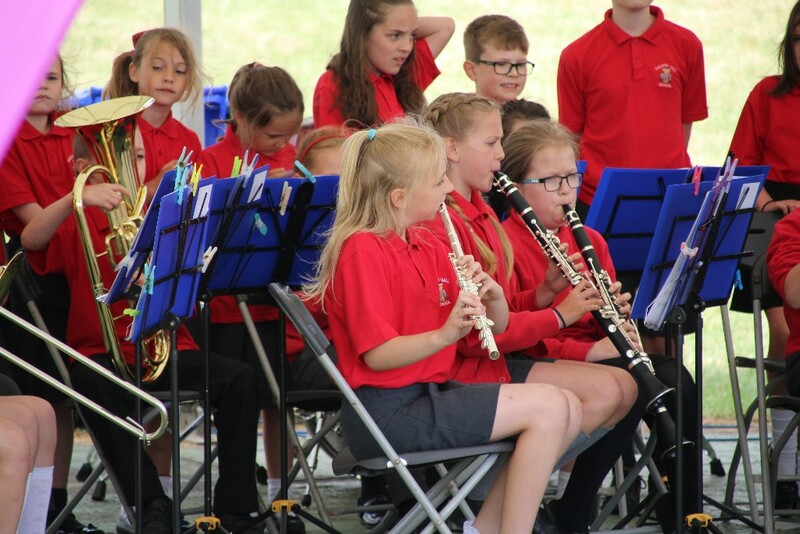 After an al-fresco lunch, the children performed the seaside themed songs they had learnt as part of the six week project run by the Love Music Trust, to an audience of parents and grandparents. There were lots of sticky fingers and smiling faces; a great start to the summer celebration weekend! 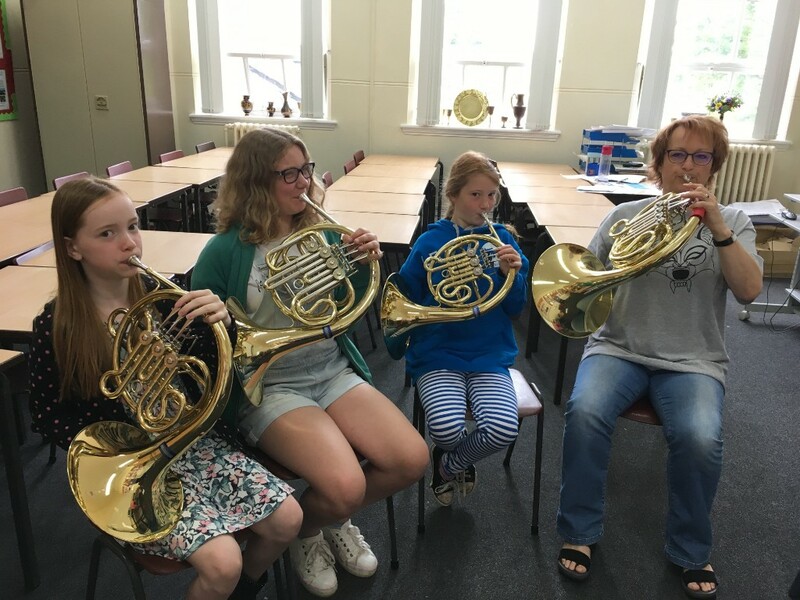 Two years ago, Macclesfield Music Centre decided to start a French Horn group as an antidote to the shortage of horn players at the centre. 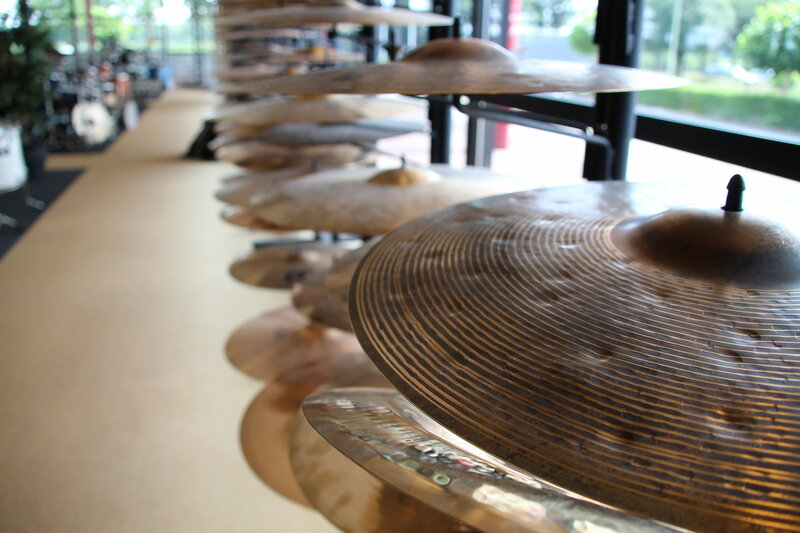 As MMC is a hub partner, LMT kindly agreed to supply the instruments if they could find the players! MMC now have 6 pupils who have taken Grade 1 and are rapidly moving on to the next grade or beyond! 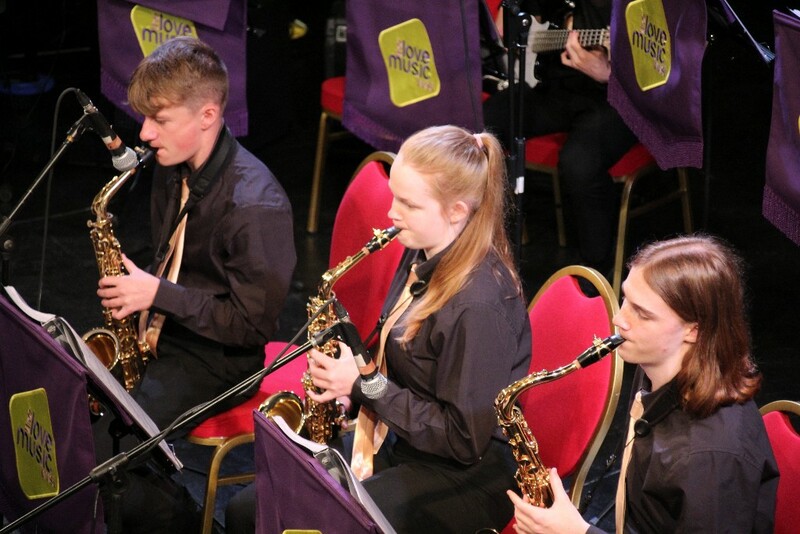 They gave their debut performance at the Macclesfield Music Festival last year and continue to perform at the Music Centre Open Mornings. 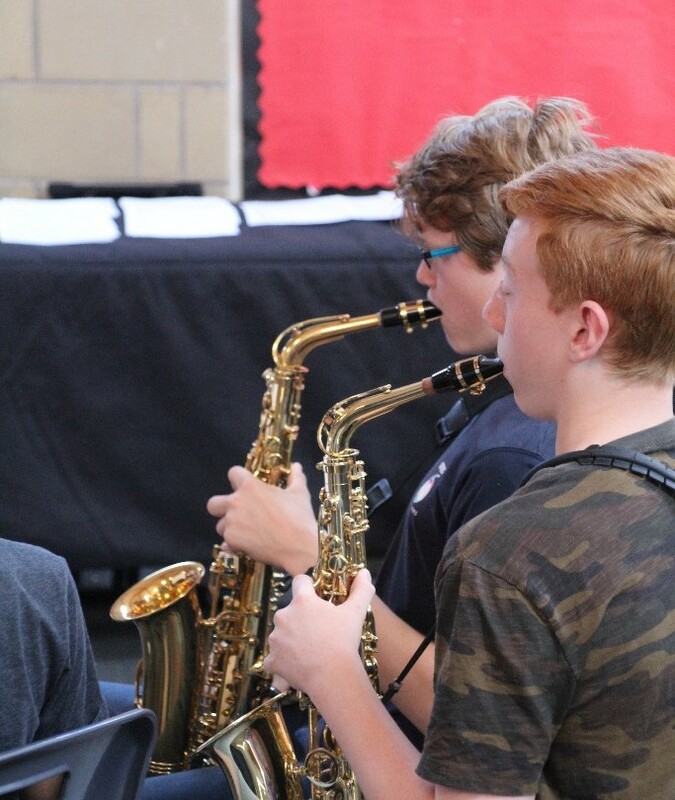 Several of the pupils have now joined the regular Saturday morning groups – wind bands, orchestra, chamber groups and even the jazz band! The children go to several of the local schools and are now boosting the horn numbers there too! 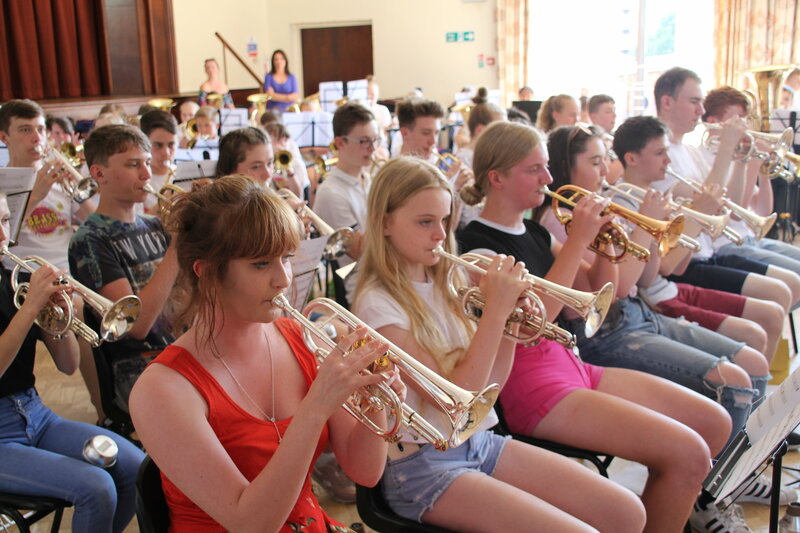 On Wednesday 4th July, the massed forces involved in the Love Music Trust 'Brass Revolution' performance headed to Birmingham for the National Takeover Day of the 2018 Music For Youth Festival. 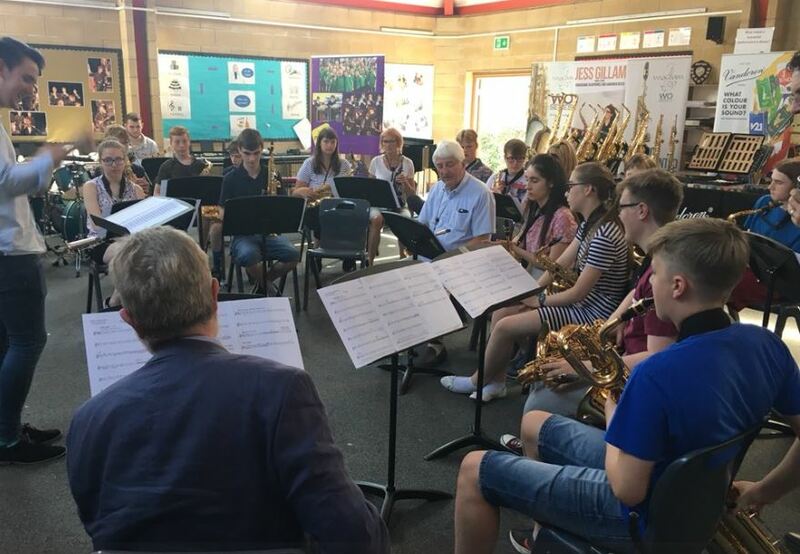 The Love Music Trust commissioned British composer award winner Andy Scott to write 'Brass Revolution' specially for the Birmingham performance, a piece that celebrated the musical pathways for young brass players in Cheshire East. In all 175 young brass players took to the stage at Birmingham Town Hall, with performers present from Haslington Primary School Year 5 Wider Opportunities programme, members of the LMT post-First Access Academy Band, Lions Youth, Macclesfield Youth and Poynton Youth Brass Bands, Foden's Youth Band and Foden's senior Band to perform the 18 minute composition. 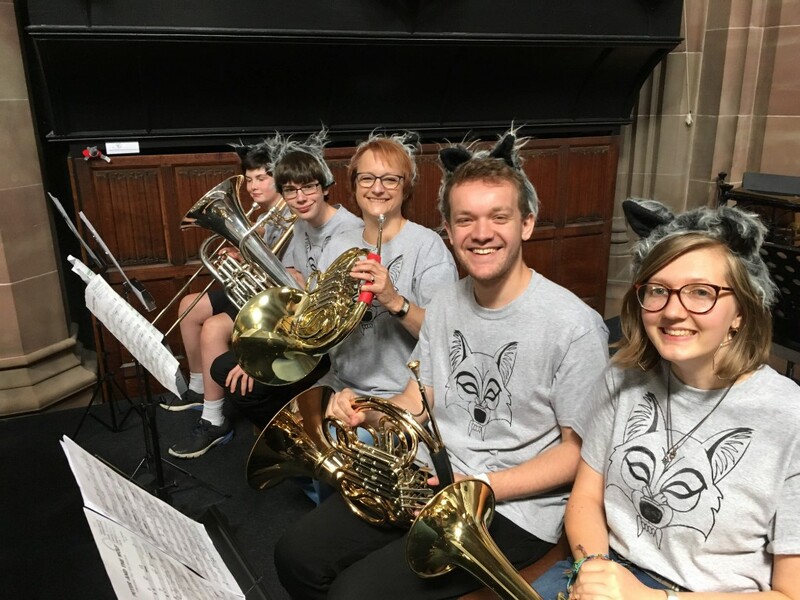 Dressed in specially designed 'Brass Revolution' t-shirts, the super-sized ensemble wowed the audience with their funky rhythms, improvisation, hard hitting grooves and melodic singing leading to a much deserved standing ovation by audience. 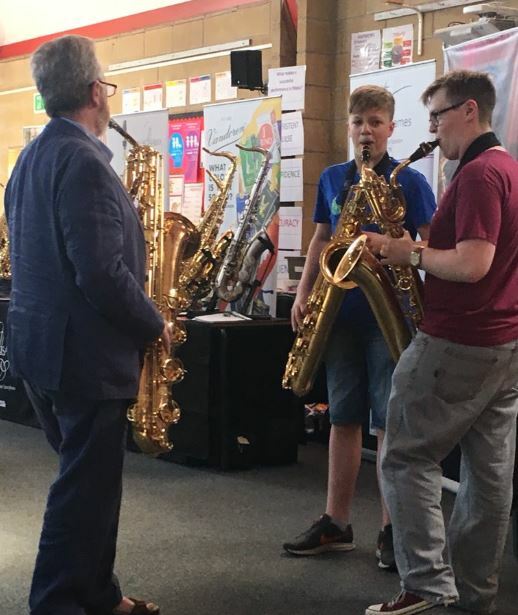 Huge thanks to all those involved in this mammoth project; it was a real celebration of the brass opportunities and pathways for young musicians in Cheshire East, brilliantly conceived and delivered with style! 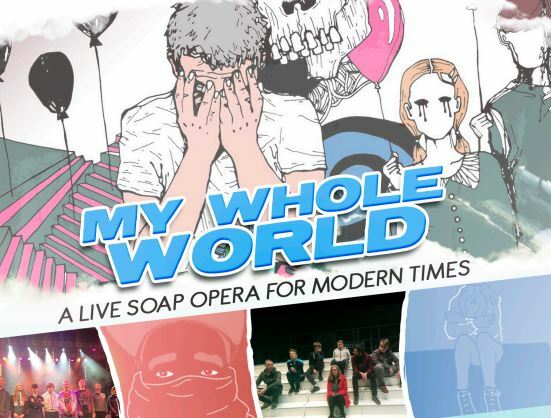 My Whole World - a live soap opera for modern times. 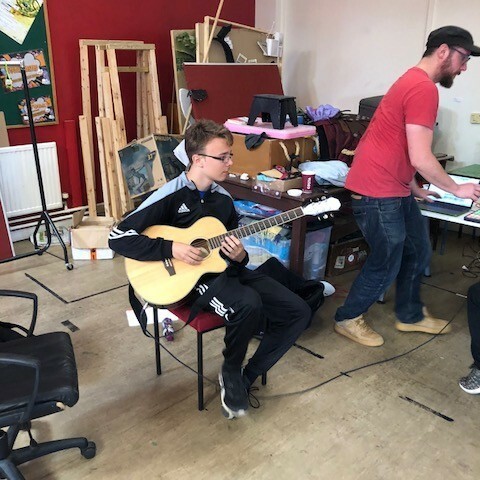 ‘My Whole World’ is a multimedia site-specific promenade music theatre project exploring the issues that affect young people who are NEET, Looked After and/or have emotional and behavioural difficulties in 2018. 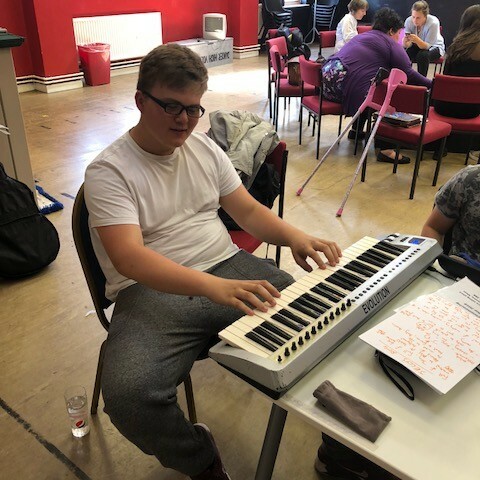 The young people took part in a series of creative writing, drama, lyric writing, music production and film making workshops aimed at giving them experience of the creative industries and producing materials for a live immersive performance on 11th July 2018. 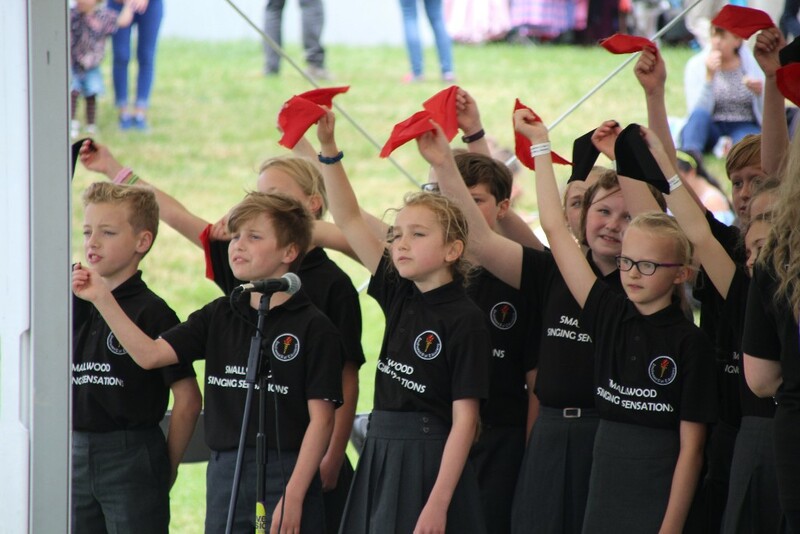 The performance took place in Cheshire Fire and Rescue Service's specifically constructed Safety Central - a village under a dome, complete with shop, cinema, cells, court room, house, train station, farm and more. A small team of professional actors, dramatists, filmmakers and musicians brought the materials that the young people created to life in an interwoven live soap opera. Some of young people also chose to perform live. The audience moved around the village discovering characters, scenes and music that brought the space to life and gave them an insight into what life is like for young people with emotional and behavioural difficulties. Some of the issue explored include: drugs and alcohol abuse, mental health, exploitation, family upheaval, economic pressures, cyber bullying, anti-social behaviour, self harm, domestic violence, toxic masculinity and keeping safe. It is our hope that this process will help young people raise awareness, reduce stigma, identify difficulties in themselves and others, seek help and support and plan for a positive and happy future. Our congratulations to lead practitioner Paul Hine and his team from Brighter Sound for a fantastic, inspiration project and final performance! 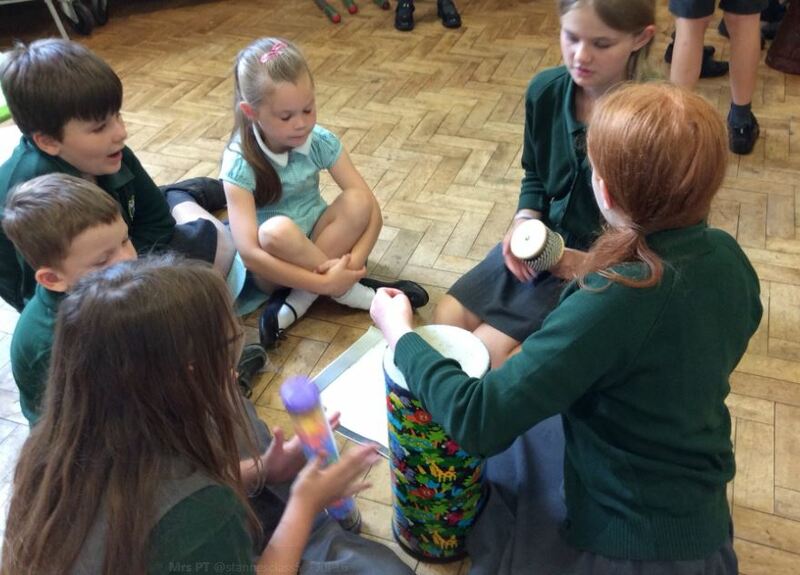 Children from St Anne’s Fulshaw CE Primary School, Wilmslow spent the day composing with Curriculum Lead, Sally Dinnis. 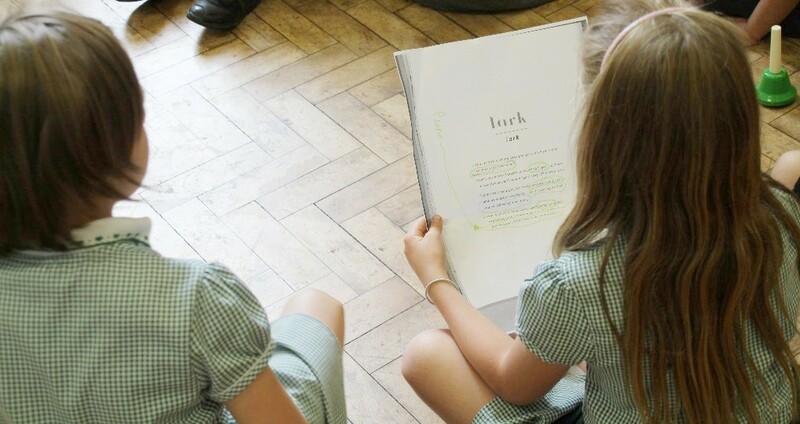 Taking inspiration from Lost Words by Robert Macfarlane and Jackie Morris, and composer Kerry Andrews, the children created their own spell songs about the Lark, Magpie, Kingfisher, Adder and Fern. Children composed for voice, body percussion, classroom percussion instruments and guitar. The final results were magical. If you are interested in having a similar day in your school, then please do get in touch. 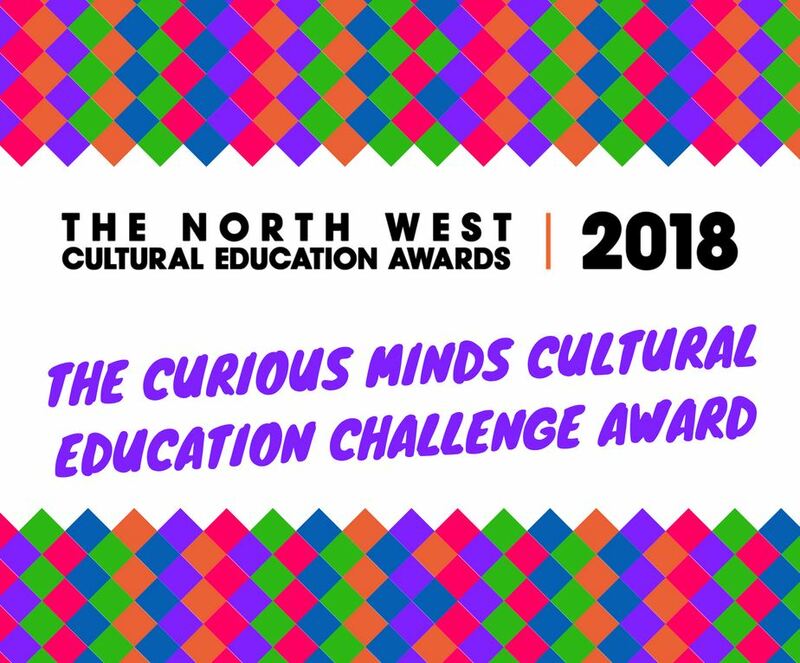 In recognition of our collaborative work with children in challenging circumstances (which included the 'My Whole World' project) the Love Music Trust were recently shortlisted for the Curious Minds North West ‘Cultural Education Challenge Award’, celebrating innovation and excellence in creative and cultural education. Thank you to all out partners on these projects for their hard work and dedication to the cause! 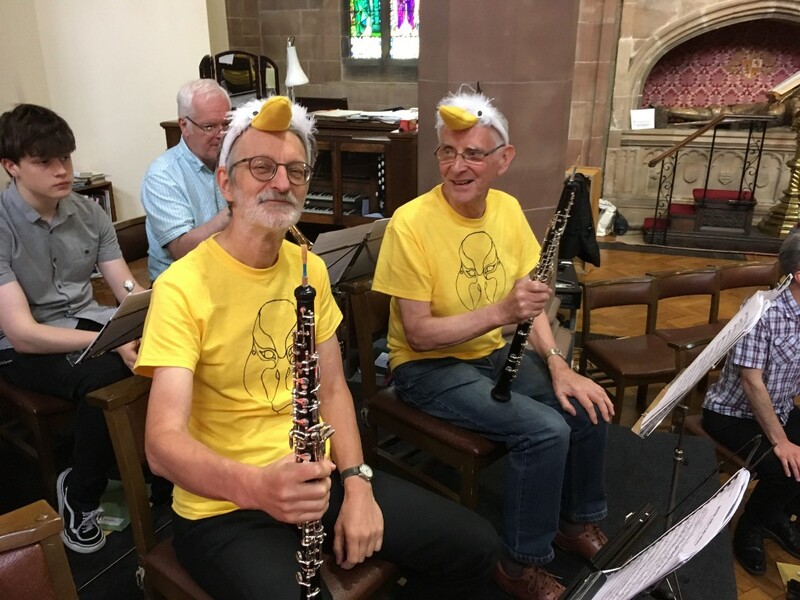 On June 23rd , St Michael’s Church in Macclesfield was taken over by ducks, cats, wolves and birds! 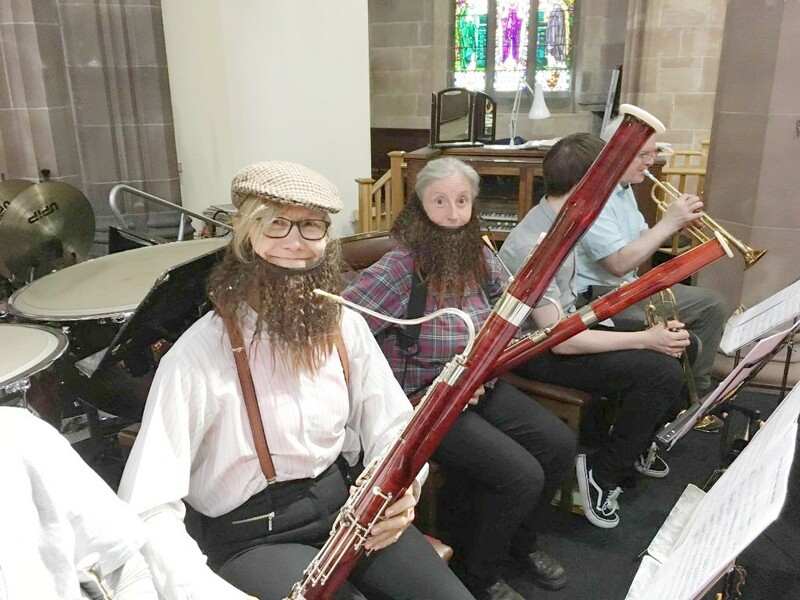 This was all part of Macclesfield Music Centre’s performance of Peter and the Wolf at the local Barnaby Festival. Children were invited to come to make masks and badges of their favourite animal and then to learn some movement to use during the performance. 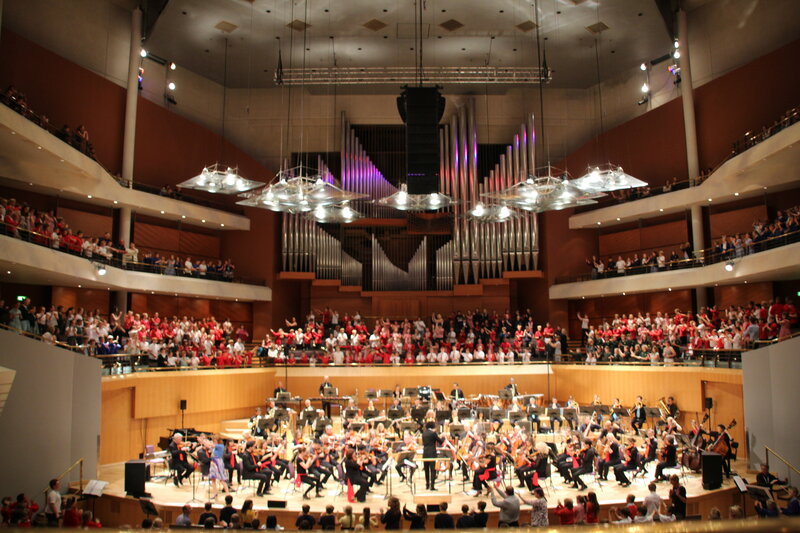 Tom Redmond, from the Halle orchestra, brought the words to life in his usual entertaining style whilst the orchestra did a fantastic job depicting the story through music. The church was packed with standing room only. Afterwards children and adults tried out the instruments – many lent by LMT. A fun afternoon had by all, as hopefully you can see from the pictures! 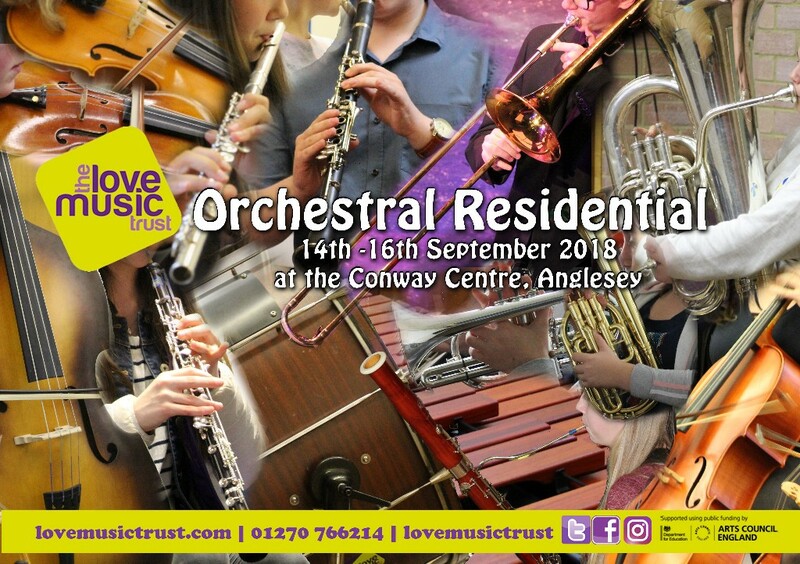 This year's LMT Orchestral Residential will again be held at the Conway Centre, Anglesey from Friday 14th - Sunday 16th September 2018. 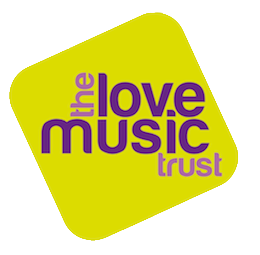 The cost of the whole weekend - subsidised by the Love Music Trust - is £75.00 and is inclusive of travel, accommodation, meals, rehearsals and outdoor activities. The course is open to students age 11 - 19 in full time education. If you require any further information please contact the office on 01270 766214. 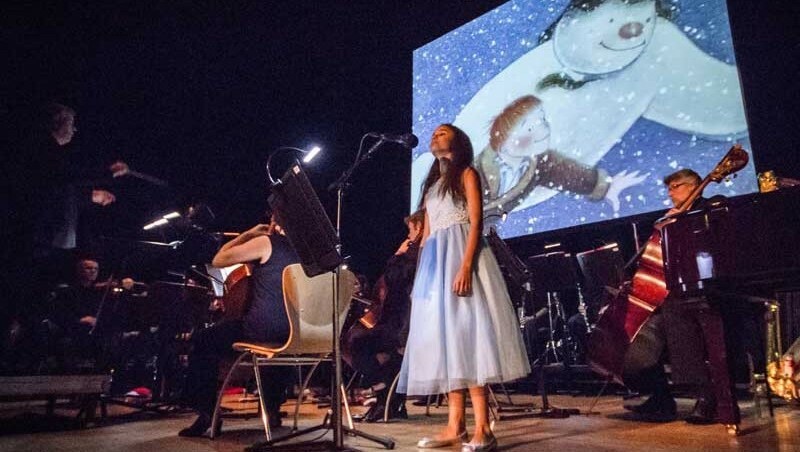 We would like to invite your pupils to a unique and special event – a screening of the much loved film, The Snowman, accompanied by a live 26 piece professional orchestra. The Snowman Orchestra comprises hand-picked, first class musicians, many of whom are members of the BBC Philharmonic, Hallé and BBC Symphony Orchestras amongst others. There will be a schools performance on Monday 17th December 2018 at 1:30pm. It will take place at Victoria Hall , Hanley and will last for 1 hour. Following on from the high demand for tickets for The Snowman live experience last year we will be offering places on a first come first served basis. We will confirm your request for tickets via email and hopefully we will be able to accommodate all requests. The concert will open with a toe-tapping Christmas Medley followed by a fun introduction to the orchestra. 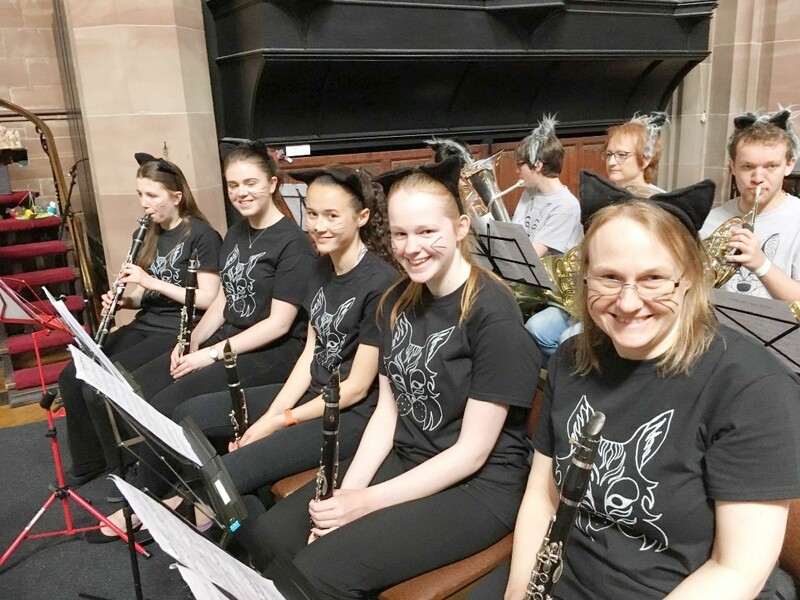 All the instruments are presented in a fun and approachable way, offering the young audience members the valuable experience of seeing - and hearing - the instruments individually. Following this there will be a world premiere of a brand new work created especially for us: A Donkey’s Tale. Set amidst the wild landscape of Connemara in the west of Ireland, it tells the heartwarming story of Dillon, an ordinary donkey with an extraordinary dream that takes him on a journey that will change his life. This stunning animated film with accompanying musical score looks set to become a firm favourite for all ages. The Snowman film will then be projected onto the screen, accompanied by a local child soloist singing the timeless “Walking In The Air”.This is a very special opportunity; we do hope you will take advantage of this offer to let the children from your school enjoy a truly magical and unforgettable experience. I do hope you will be able to join us for what will undoubtedly be a magical Christmas experience. As featured in The Guardian, The Sunday Times and The Telegraph "Top things to do at Christmas"
"The most amazing concert ever. Everyone was enjoying it, even the orchestra. You could tell because every single person had a big smile on their face!" We are delighted to bring you information about our three exciting projects for the academic year 2018/19. 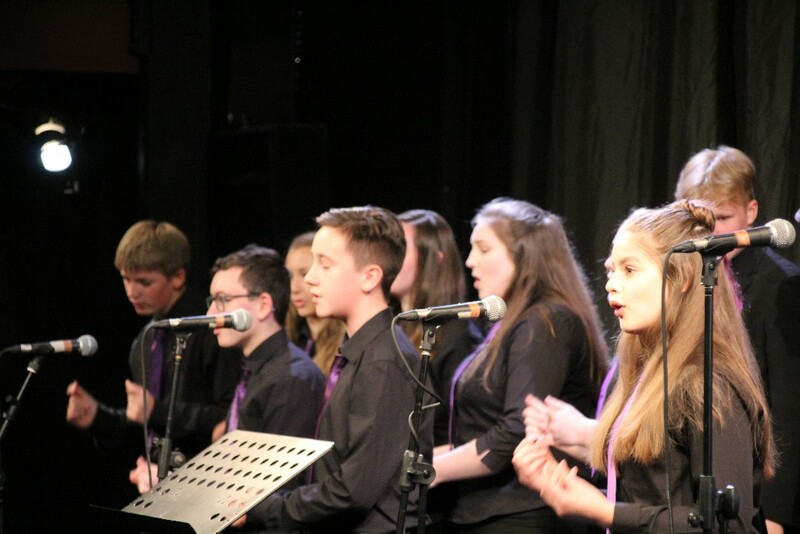 Following on from the success of this year's project we proudly present Singfest '19 - Music through the Decades. Songs will include wartime favourites, rock and roll, Beatles, Queen, 80's classics, Robbie Williams, Take That and The Greatest Showman. 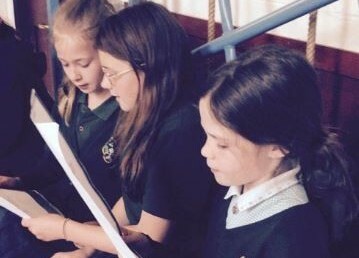 The children will come together for two massed rehearsals, as in previous years, to learn the original and exciting medleys. 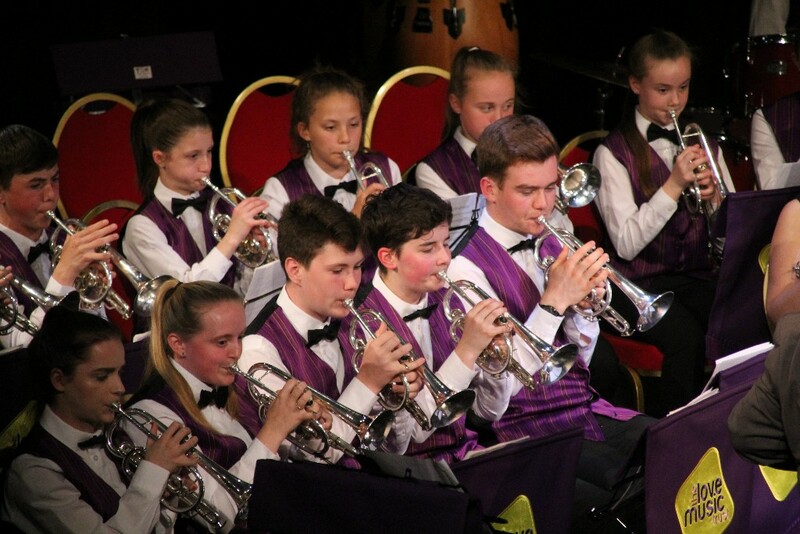 Massed rehearsals will take place in a local high school and there will be a massed celebration concert at Crewe Lyceum on 18th or 19th March 2019 at either 9:30, 12:00 or 2:30. We will confirm dates and times in the autumn term. The project costs £125 per class of 35 children max. For EYFS we are once again offering your children the opportunity to accompany Barney Bear on his musical adventures. This year, Barney will be taking the children on a trip to the seaside where they will play on the beach, join a band, explore the sea and learn to rock and roll. 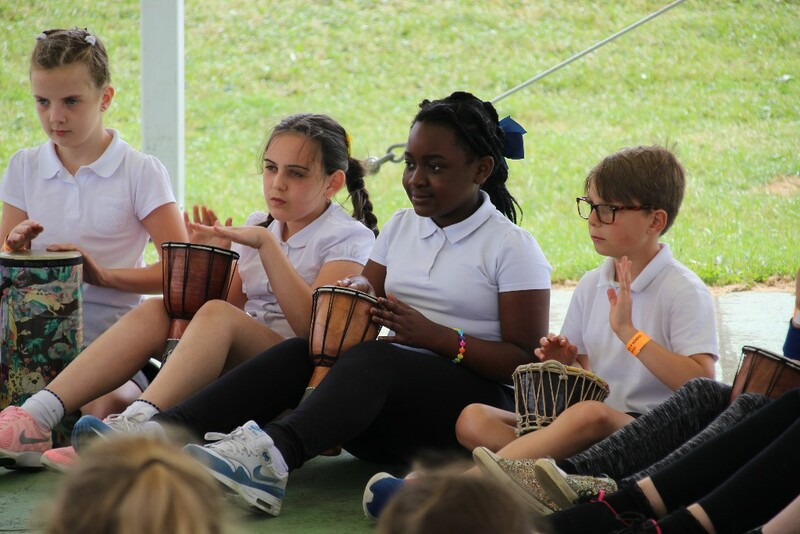 The children are introduced to basic musicianship skills through songs, games and percussion instruments. 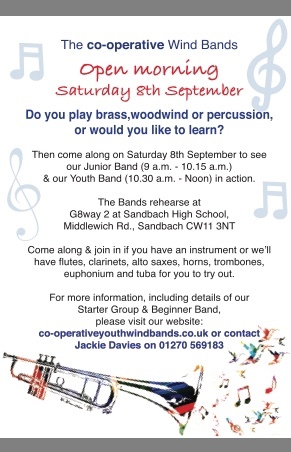 The project includes 6 x 45 minute sessions, scheme of work, songbook, CD and the opportunity to perform to parents. The project costs £225 per class of 30 children max. For KS1, we introduce Betty Bear who will be going to the Seaside. Join Betty on her travels to the coast where she will have lots of fun on the beach, explore rock pools, and make friends with the animals living in the sea. Children will learn to sing more challenging melodies and in different parts. 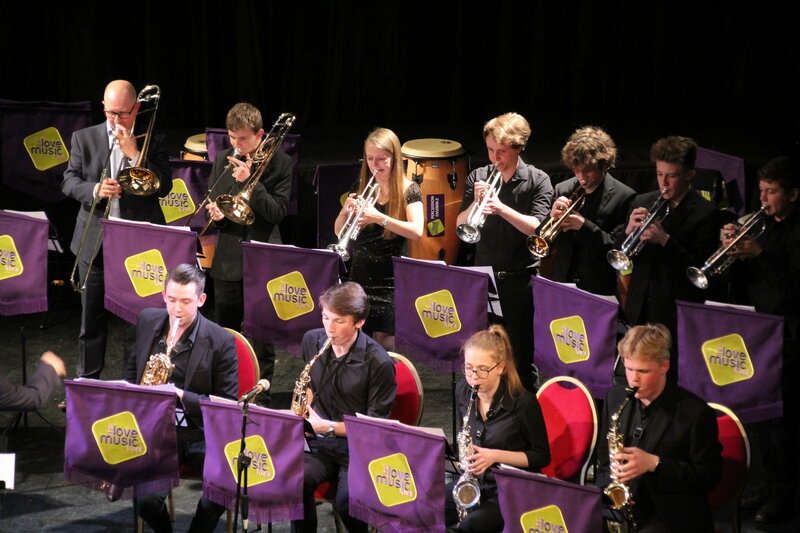 The project includes 6 x 45 minute sessions, scheme of work, songbook, CD and a massed celebration concert at Crewe Lyceum on Wednesday 20th March 2019 at either 9:30 or 2:30. The project costs £225 per class of 35 children max. 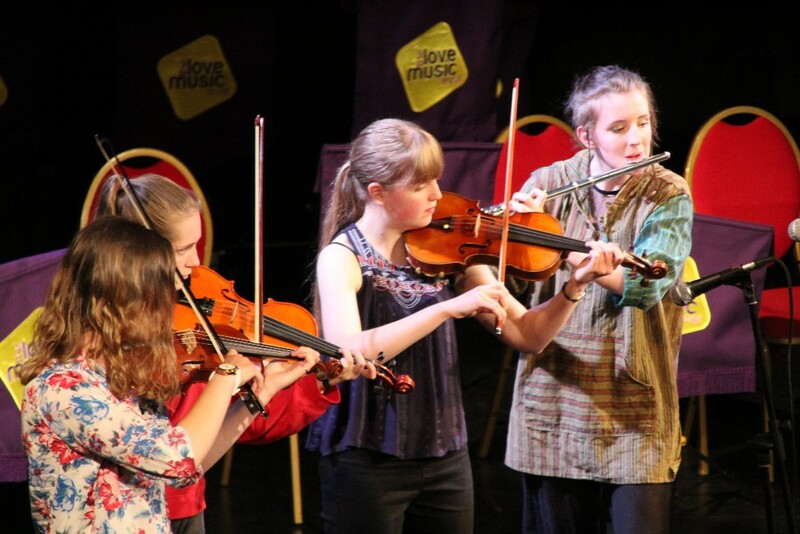 We have five national age-banded orchestras drawing from children who are due to start in school years 3-9 from September this year, plus six Regional Orchestras, drawing on a wider pool of Associate Members. In total, we have 650 places available for NCO National and Associate Membership. 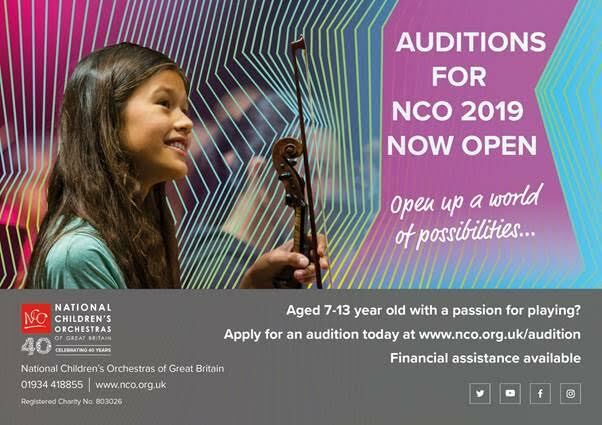 NCO is proud to offer a financial assistance scheme, opening up our music education experience to more children and young people than ever before. 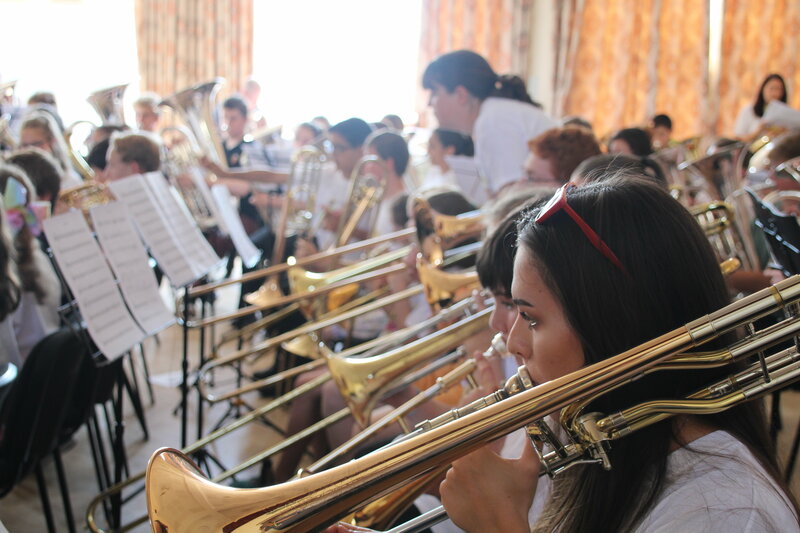 For more information on annual membership fees and financial assistance, please visit www.nco.org.uk. We welcome any suggestions for articles to feature in Barlines. If you have an item you would like to feature, please click here to send us more information. If you have an event coming up that you would like us to put into our calendar, please click here to tell us more so we can let others know too!